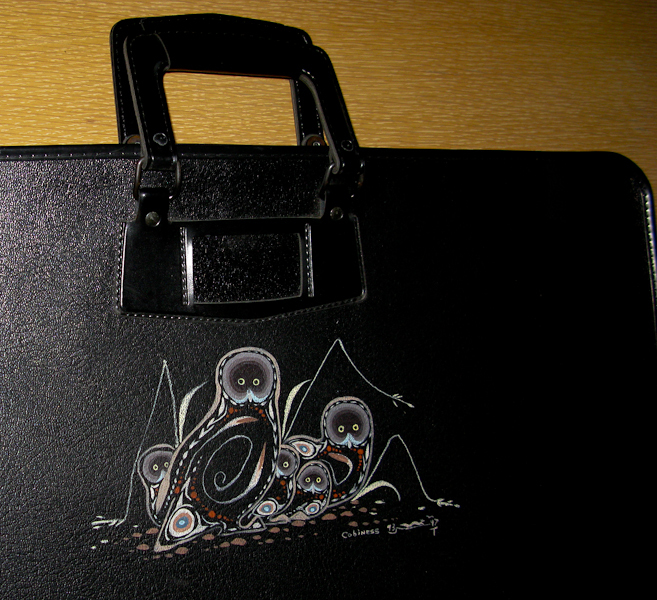 Description: leather portfolio 26"x2"x21" with a family of Owls painted on the leather signed and dated Eddy Cobiness '93, image size 10"x6". Unique. A must have for any Cobiness collector.